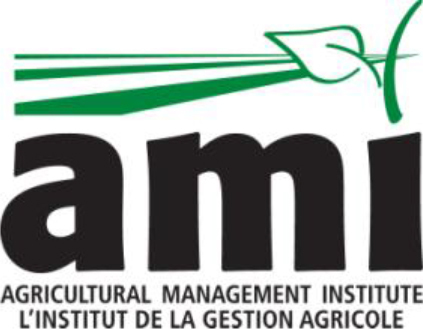 The 2014/2015 Advanced Farm Management Program kicks off in November this year, and AMI have just announced the expansion of the program, which will now be offered in five locations across the province: Ridgetown, London, Orangeville, Ancaster and Winchester. This means that more Ontario farmers will have the opportunity to improve their business management skills with high-quality, advanced-level programming. “AFMP helps farmers improve their businesses by exposing them to best practices in human resources, financial management, and marketing that make a difference on the farm,” says Ryan Koeslag, Executive Director of the Agricultural Management Institute. AFMP provides a unique combination of advanced farm business management training and personalized, practical teachings that farmers can apply immediately to their operation. Farmers who have completed the Growing Your Farm Profits (GYFP) program, or those who have accumulated management experience are encouraged to enrol. The program consists of five intensive one-day training sessions over a four-month period. For the 2014/15 class, the sessions are scheduled to run from November to February. Registration is now open. Farmers are urged to register early to secure a position at their preferred location. The deadline to apply is Oct. 31, 2014. Registrations received before Sept. 15 are eligible for a $150 discount. AFMP tuition is $1,950 per person and farmers may be eligible for a cost share rebate of 50 per cent of the tuition through the Growing Forward 2 Program (Capacity Building). Full payment of tuition is required by Oct. 31, 2014. Application forms can be downloaded at www.advancedfarmmanagement.ca. Further questions on registration can be directed to John Laidlaw of OSCIA: (519) 826-4218 | jlaidlaw@ontariosoilcrop.org. For more details, visit the PFO website. Register now by emailing contactpfo@gmail.com before these two event sell out. Attn: Pumpkin & Squash Growers! Farms at Work invites you to join pollination biologist, Susan Chan on a pollinator field walk at Buckhorn Berry Farm to observe the nesting and foraging habits of the squash bee (Peponapis pruinosa), a native pollinator of pumpkins and squashes. Join Susan as she examines active squash bee ground nests and learn first-hand how to identify squash bees and their nests. Provided the conditions are favourable, there should also be ample opportunity to witness (and even handle!) these friendly pollinators hard at work! For pumpkin and squash growers, this tour will be especially useful as these bees are specialist pollinators of Cucurbita crops. This means they are the most efficient and important agents of pollination for Cucurbita crops this side of the pumpkin patch! Whether you've got five plants or five acres, if you're growing pumpkins or squash, you'll benefit greatly from hearing Susan speak about the pollination systems of pumpkin and squash plants. You'll also learn some effective strategies for fostering and encouraging more squash bees on your own property. 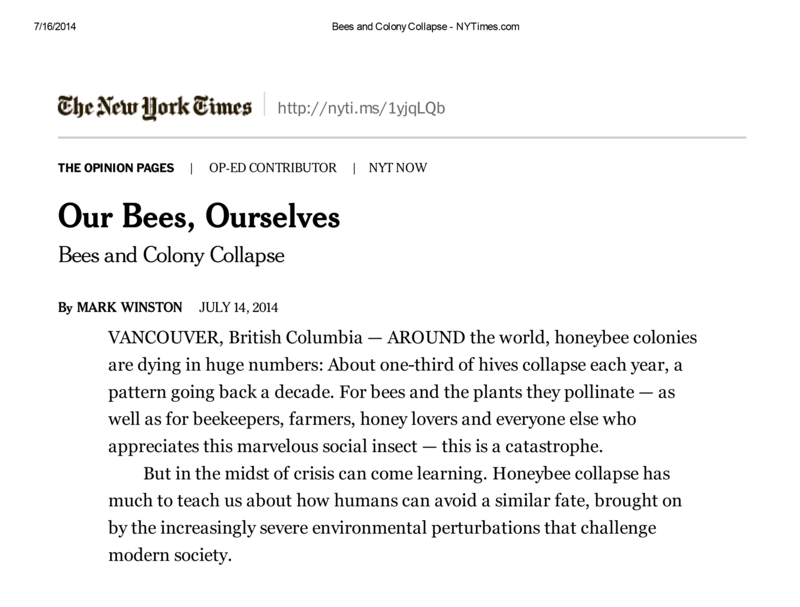 Here's a great article for beekeepers, pollinator enthusiasts, and anyone interested in learning more about Colony Collapse Disorder. Mark Winston is a biologist and director for the Center of Dialogue at Simon Fraser University. Hey Farmers, Have Your Say! 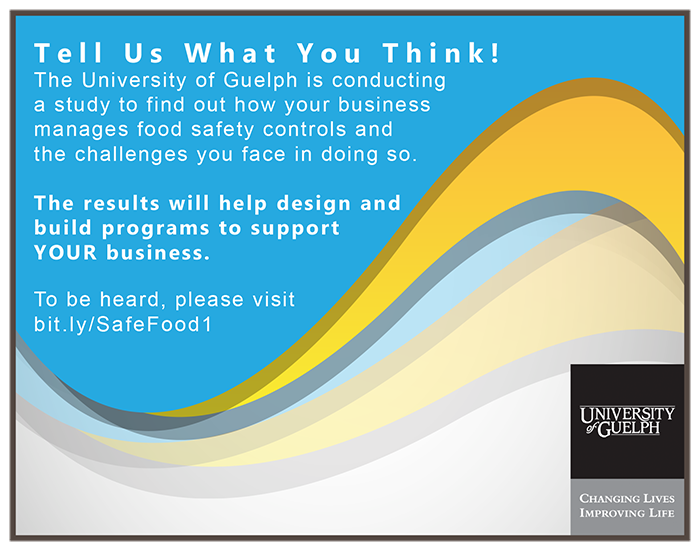 The University of Guelph is conducting a study as part of research being undertaken by the Department of Food, Agricultural and Resource Economics at the University of Guelph with funding from the Ontario Ministry of Agriculture, Food and Rural Affairs (OMAFRA). The study aims to better understand the challenges that farms and food businesses face in managing food safety and traceability. The results will help OMAFRA to improve the support services they provide to farms and food businesses in the province. The results of the survey, which will take about 30 minutes to complete, will help design and build food safety programs to support farm businesses across the province. Click here to take the survey. If you have any questions or concerns about the survey please contact study coordinator, Professor Spencer Henson | (519) 814-4120 x53134.